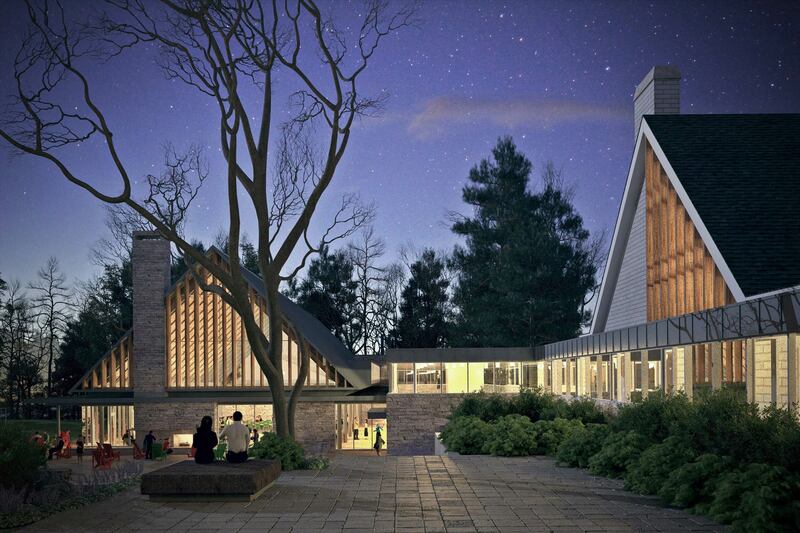 The winning design proposal for the new Lakefield Dining Pavilion captures the iconic essence of the Lakefield campus. 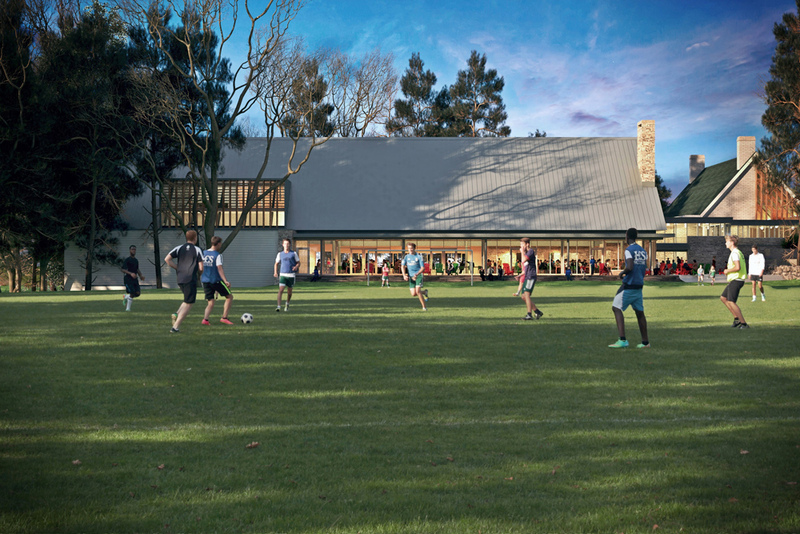 Robust and enduring in character with strong indoor-outdoor connections, the building responds not only to the vernacular of existing buildings but also to the remarkable qualities of the surrounding landscape. 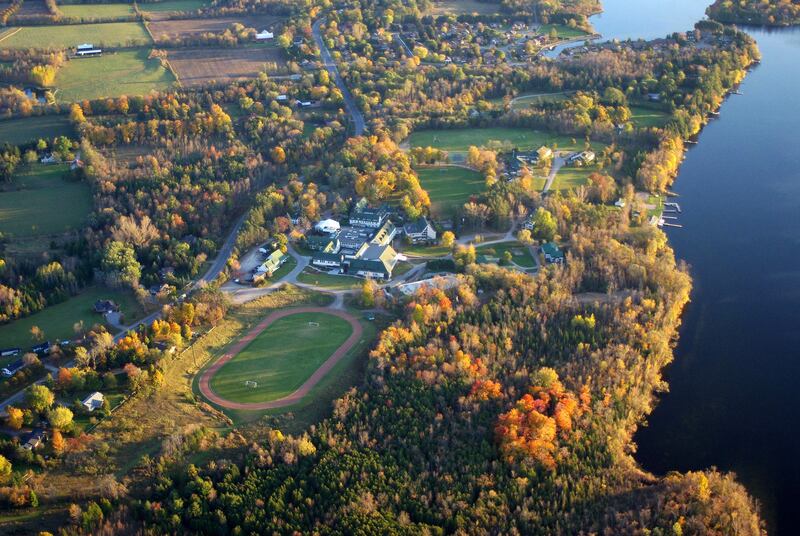 It anchors the sports field to the south and brings renewed focus to the existing stepped courtyard to the east. 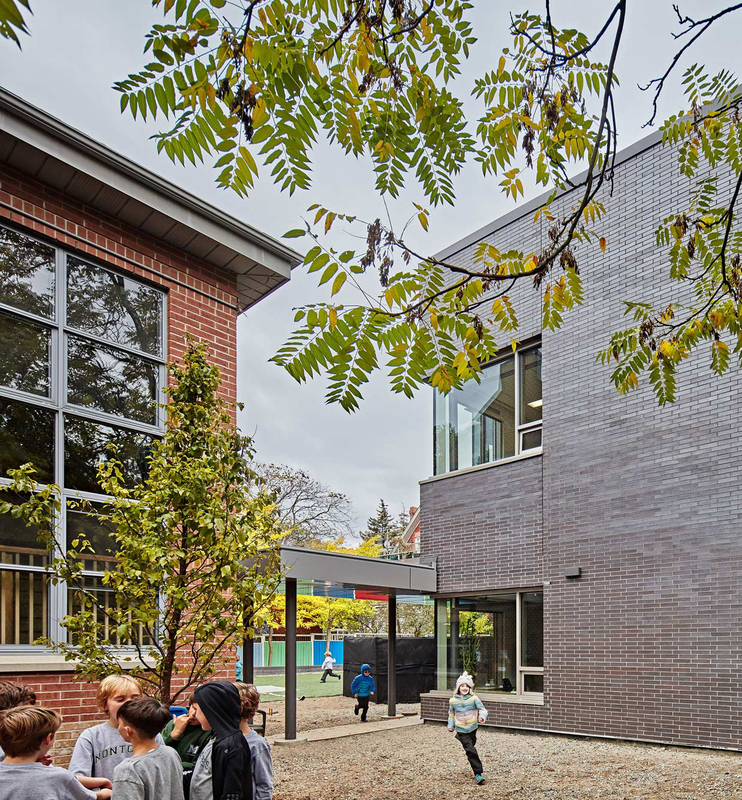 Roof overhangs provide shade and/or tempered light to the exterior commons while clerestory windows allow for the penetration of natural light and ventilation into the depth of the interior dining space. 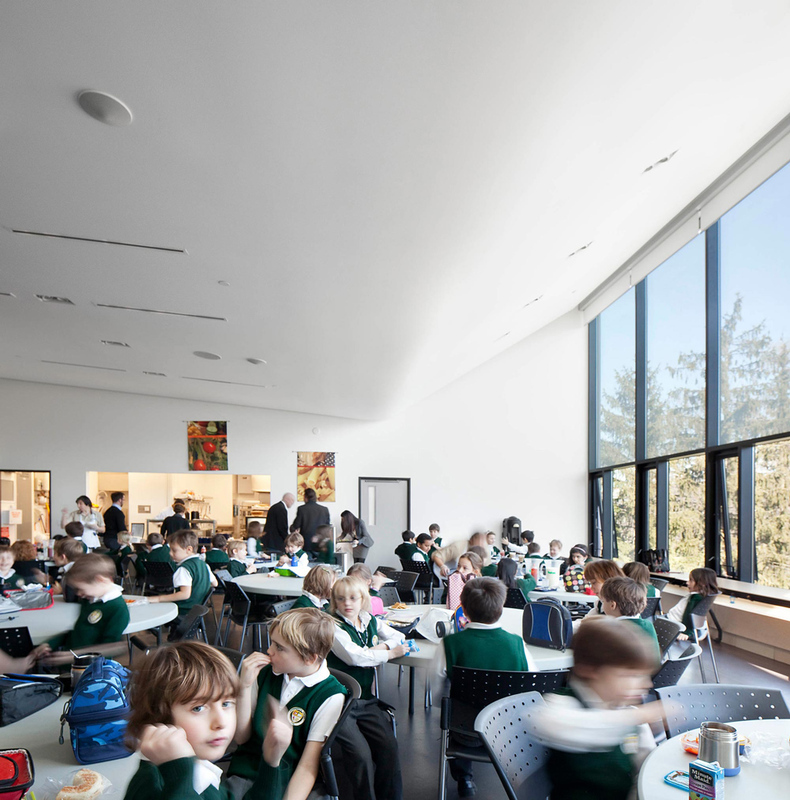 Expansive windows across the façade offer unfettered views of the picturesque campus grounds. 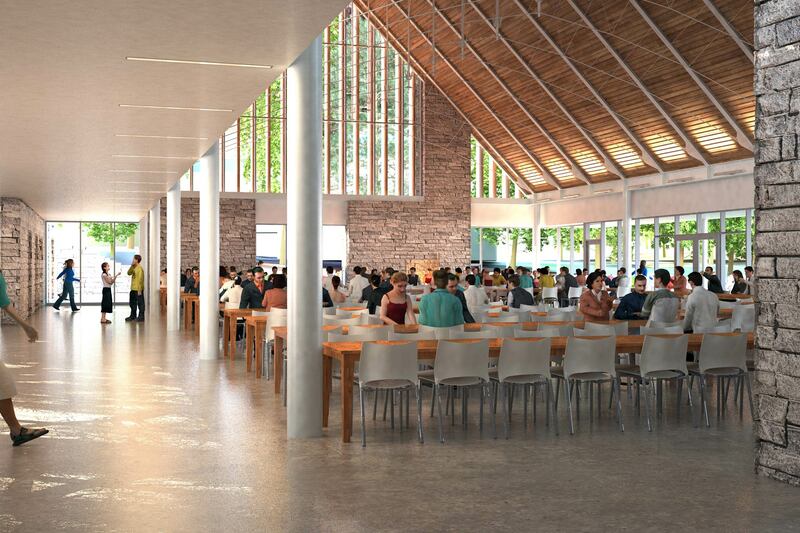 As part of the proposal, the existing, vacated dining hall is adapted to accommodate a new, state-of-the-art Science Centre. 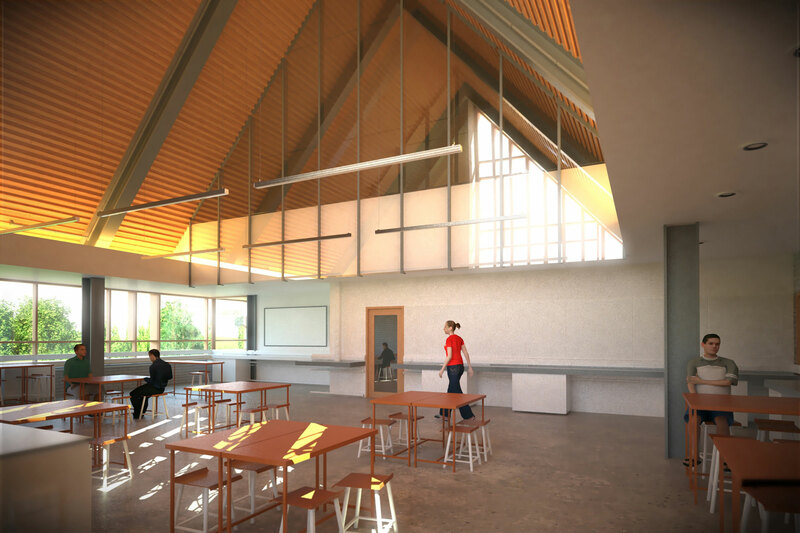 Although its plans remain largely unchanged, each room is enhanced to meet new programmatic needs and the mezzanine is transformed into a new collaborative work space for students with picturesque views of the campus and an abundance of natural light. 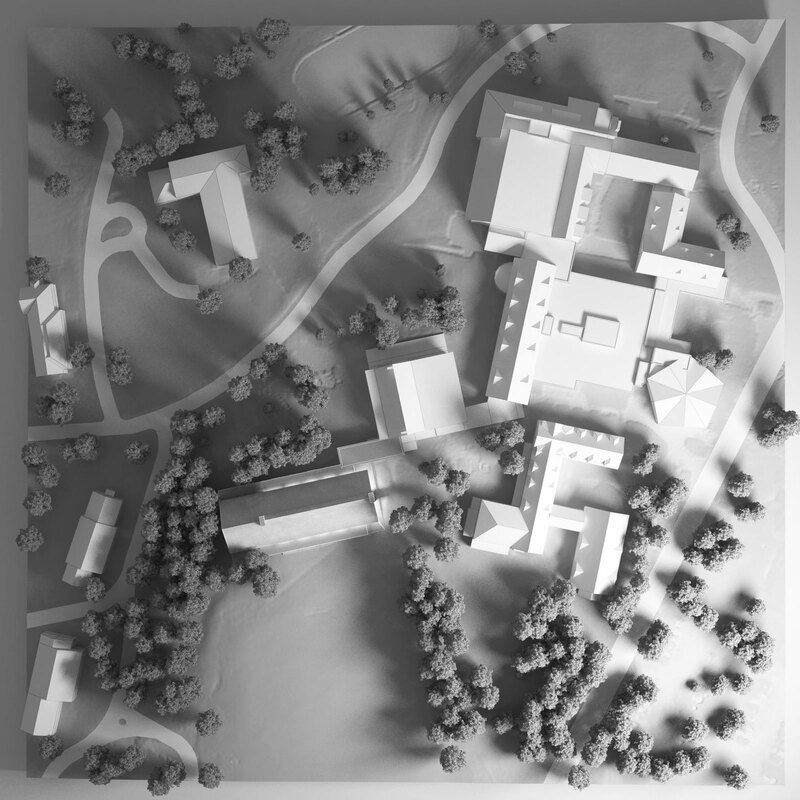 Already a major circulation hub for students with walkways above and below ground, the building introduces an important new central corridor connection to the new Dining Pavilion. 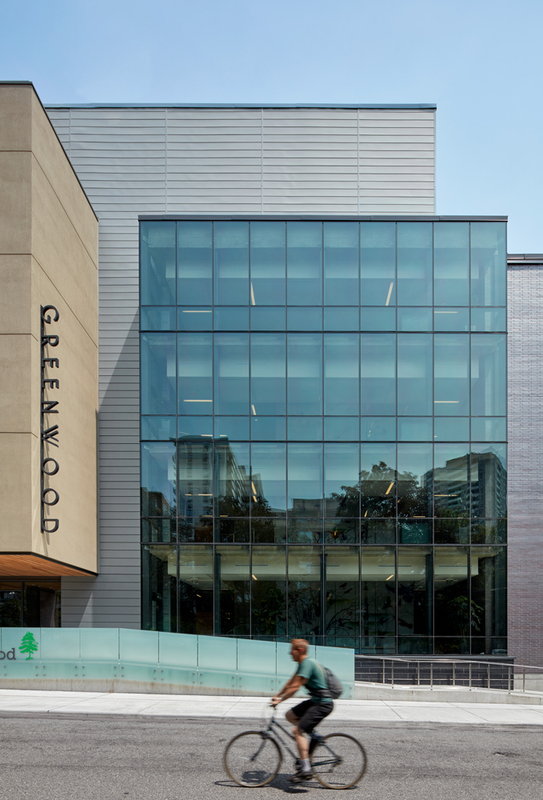 Residual academic space from the relocation of existing science labs to the new Science Centre is re-purposed to suit new classroom suites, a drama space and multimedia production studio.